I am so glad I ran across your video. I love the things you are doing with organization. Keep up the good work! I would love to try this. Please enter me. It looks so nice. You have some amazing ideas! I haven’t seen these in our DT. I have been searching for ways to make my pantry more streamlined and organized and I think these would be the thing! It would be a blessing to have them. Love your videos. I am a thrift store junky. Love it when someone loves what I am wearing and I know it came from the thrift store. Thanks for chance to win great storage items. Just recently started watching your channel. Very inspired about the things you find. Thanks for the give away. You are so creative! The dollar tree near me never has any of these things. You have a great Dollar Tree. The one and only in our town doesn’t have the good stuff. I LOVE acrylic’s!!!!! Loved the way you organized the pantry. I need to see if my DT has those organizers for cans. Such a great idea! Thank you! Came from YT! 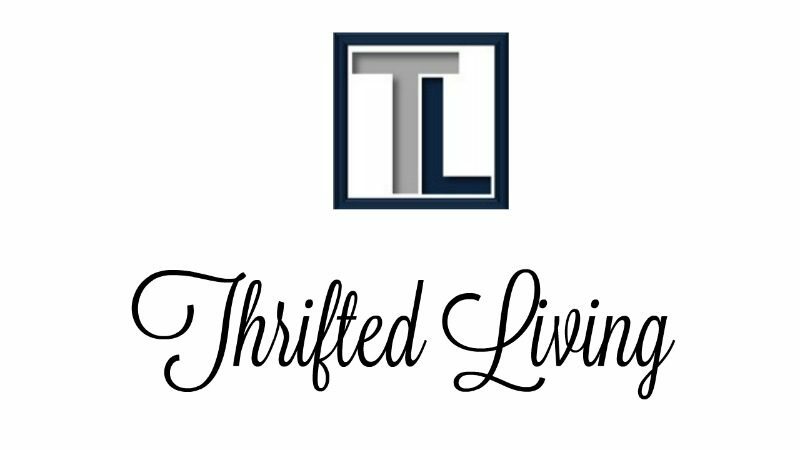 Just love Thrifted Living! What a great giveaway! I WOULD LOVE TO BUY THOSE CAN ORGANIZER. Just recently can across your YouTube channel and I love your videos. You have some good Dollar Trees by you I can never find anything for organizing at my local ones…some how everyone always beats me to the good stuff! Would love to win those can organizers I’ve been looking for what seems like forever for those things! It never occurred to me to use those to hold my cans, I had seen them before but haven’t in a long time. I have your same issue I don’t have a pantry . And pretty much put my groceries wherever I can make them fit. I think it’s a great idea and would save me a lot of space if I can find them 🙂 thank you for sharing your ideas. Just discovered your YouTube channel and blog. Loving them! Three Dollar Trees later, still none of the can storage bins. 😦 Thanks for the opportunity to win some! This is such a great idea! I to find myself wanting to pull out my hair over the state of kitchen. I share the space with two other people who are not as neat as they could be. I do the best I can! I appreciate this though, the labels might be a nice way to get everyone on the same page! I just found your channel and I’ve be binge watching. LOL Love love your pantry!!!! I love this idea and I love your youtube channel (that’s where I found you). Those dollar tree labels remind me of the ones you got at Goodwill a few weeks back (originally from the Dollar Spot at Target, I believe), and then that very same week I found them at mine as well! I love them! Wow. Talk about a transformation. I have literally never seen those can organizers before! Pingback: Dollar Store Kitchen Organization Ideas - 21 Clever Ideas!